Are you married? 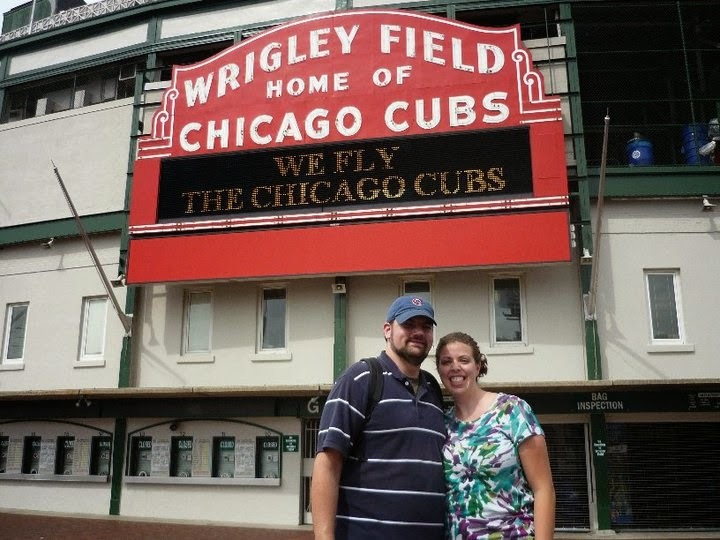 My husband and I were married in September 2008. Any children? We have two young children, Annabelle & Harrison. Favorite vacation destination? Walt Disney World, of course! If we aren't in WDW, we prefer to explore cities for our vacations; we really like Chicago and Washington D.C. Favorite Disney restaurant?It is so hard to pick just one--dining at WDW is probably my favorite part of our trips! I will go with 'Ohana though. Wishes, Fantasmic or IllumiNations? WISHES!!!!!! Favorite Disney Souvenir? We have two items we try to purchase on each trip: something new for our kitchen and at least one new Christmas ornament. I really love my Mickey whisk! Earliest Disney vacation memory? I have some clear memories of meeting characters on the trip where I was 3 years old. This was back when you just kind of swarmed around the characters that happened to be out. 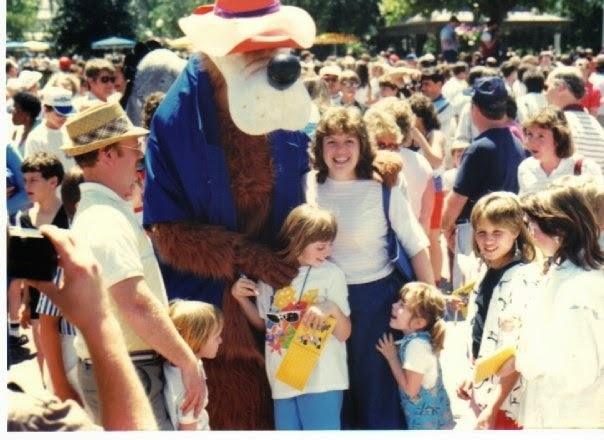 I remember going with my dad to meet a Penguin from Mary Poppins, and then running over just in time to catch up with my mom and sister so I could squeeze into a picture with Brer Bear. Disney experience that brings tears to your eyes? I tear up nearly every time I watch Wishes. Everything just seems so perfectly magical and still as the music and fireworks mesmerize everyone. Where have you traveled aside from Walt Disney World? Mostly in the US--Hawaii, Chicago, NYC, Charleston, various beaches. I've done a few cruises. Oh, and how could I forget that wonderful week we spent in St. John, USVI?! Favorite TV Show? Hmmm....we are kind of TV junkies in our house so this is hard. We like a handful of reality shows (Survivor, Amazing Race, Cutthroat Kitchen). Most of our other favorites fall into the Crime shows category--NCIS, NCIS: LA and Castle are some favorites. Oh, and love the new seasons of Doctor Who! I know the Whovians are wondering, so I will tell you that 10 is my favorite doctor! Let Aubrey help you plan the perfect vacation for your family!